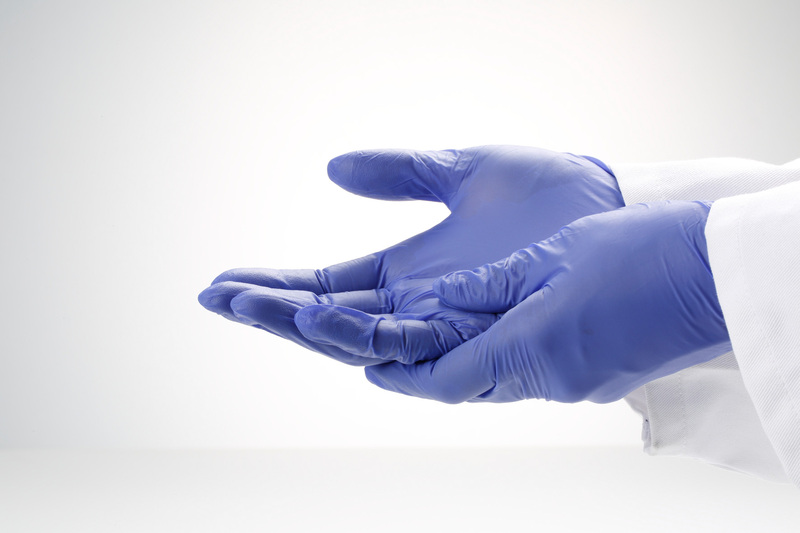 A true accelerator-free nitrile glove that is clinically proven to reduce the potential for contact dermatitis! 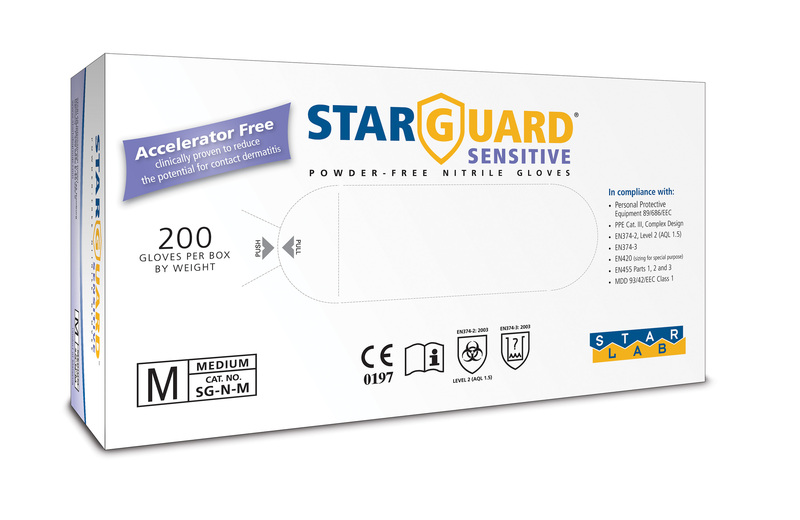 StarGuard™ gloves contain no contaminants to interfere with your experiments! A reduced amount of surfactants used during the manufacture of StarGuard™ results in an improved grip in wet conditions to rival that of latex gloves. Extremely comfortable too, this lightweight glove provides great dexterity and reduces hand fatigue during long periods of use. StarGuard™ have demonstrated, thorough advanced biocompatibility testing, a reduced potential for irritation from chemical additives. StarGuard™ has been clinically shown to reduce the incidence of the redness and itching associated with contact dermatitis and carry the FDA authorised claim of Low Dermatitis Potential.